Cypress Innovations has released piRAWnha 1.1, an iPad app that enables raw image file processing. piRAWnha features both raw developing and post?processing options, including exposure compensation, white balance correction, highlight recovery, denoise operations, gamma correction, saturation?hue?brightness adjustment, contrast adjustment and sharpening. The update brings about a host of new features, including the ability to import photos via iTunes, the ability to set and save presets for faster processing of raw images, support for JPEG/PNG/TIFF editing, the ability to create thumbnails when not automatically generated by the iPad, and more. piRAWnha is available in the App Store for $9.99. 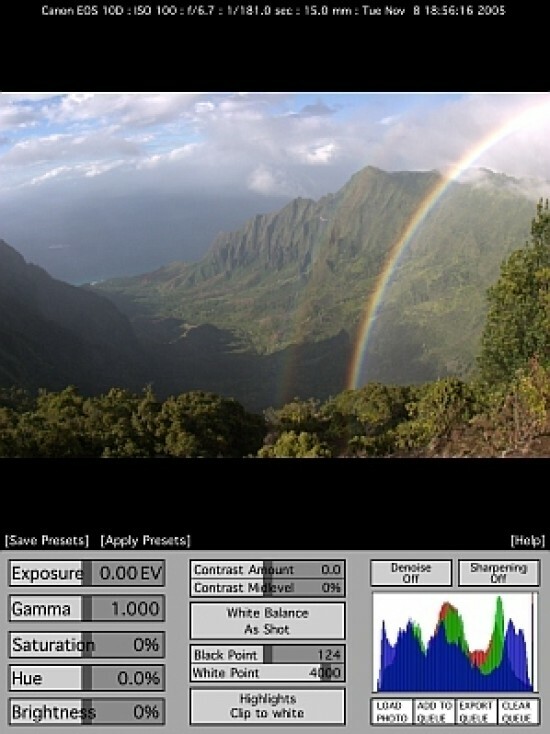 Cypress Innovations has released piRAWnha v1.1, which introduces a variety of new features to the only app to enable raw processing on the iPad. piRAWnha features both raw developing and post?processing options, including exposure compensation, white balance correction (automatic settings and manual), highlight recovery, denoise operations, gamma correction, saturation?hue?brightness adjustment, high?quality contrast adjustment, sharpening and an image histogram that is updated with each edit. As before, piRAWnha works with all raw files supported by Apple (a complete list of cameras is here: http://support.apple.com/kb/ht3825). Learn more at www.piRAWnha.com piRAWnha, the first raw image developer for iPad, is a true companion for the serious photographer. Cypress Innovations is a creative software development group currently focused on iPhone and iPad apps for photography, fitness and education.